Yes, you can buy a custom-built tiny home for tens of thousands of dollars — or you can save a ton of money by using recycled building materials, as this American couple did. You see, I got the t-shirt free about a year ago (and it is an incredibly fine t-shirt) for telling friends about Duck Duck Go. After the early years of using AOL (when content was pretty much delivered to your doorstep,) when I first started *really* using the interwebs, way back in the late 1990s, Yahoo! was my search engine of choice, because well, it was pretty much the *only* search engine. It was organized like a directory, with headings (like travel, food, sports, etc.) and underneath those headlines, were lists of links likely curated by humans who taxonomized and categorized similar sites under useful headings. The “search” was reasonably limited but Yahoo!, for several years was the leader. Then AltaVista came on the scene, and worked in a completely different manner: You’d simply type words into a search box and boom, you were presented with a custom list based on your search. That was a big improvement. Then Google stumbled on to the scene and has been my go-to for the past 15 years or so. It was easy, clean, and had cute graphics for obscure holidays and things. The problem is, Google has become too integrated. After reading all my gmail, and monitoring my search history, it makes “useful” suggestions when I search. The problem is, well, that’s kind of creepy. I’m not quite ready to put on a tin foil hat, but if Google knows that much about me, maybe it’s time to move on. Enter Duck Duck Go, the search engine that doesn’t track you. Duck Duck Go is a great search engine. It’s simple. Works just like Google, and doesn’t track your information… and has a cute logo year round. You can take a tour of Duck Duck Go here. It’s ready to use on Safari and on Safari for iPhone and iPad, plus it’s fast! It’s way faster (in my experience) than Google. Maybe it’s because Duck Duck Go isn’t scouring my browser for information about me? Give Duck Duck Go a shot and help the underdog company out. You won’t be sorry. I made the switch a year ago and I haven’t looked back. Now, if we could just get the good folks at Duck Duck Go to offer free e-mail…! Posted on December 11, 2015 December 11, 2015 Author silver slickerCategories Internet of Things, SimplifyingLeave a comment on Searching. Browsing. Simple. 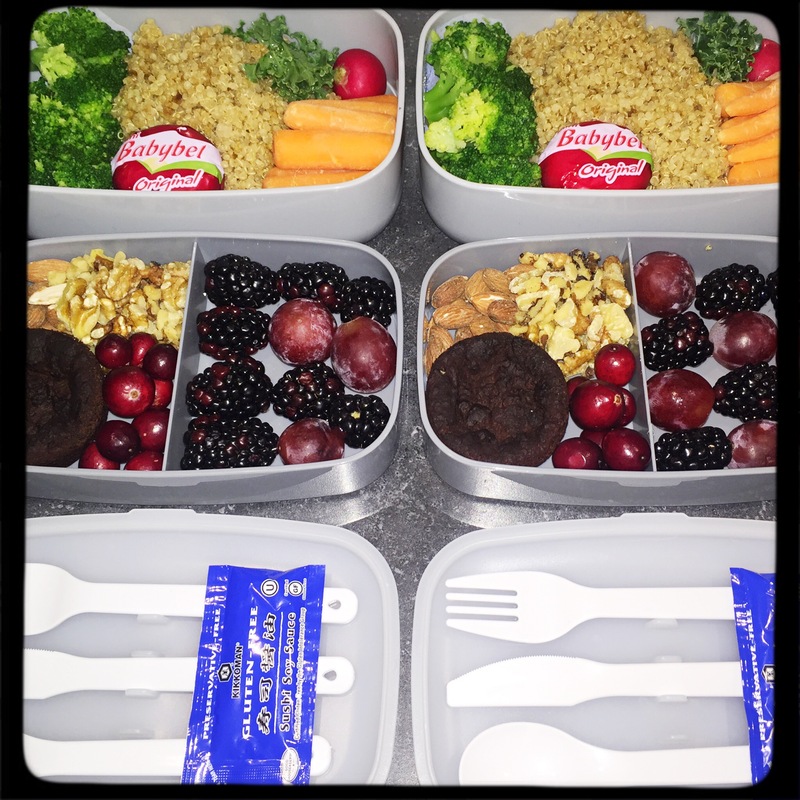 I ran across this great blog a while back about a woman who lost 30lbs by eating a bento lunch each day. Now, I should say that the food service on my campus is unparalleled and the quality and variety of what is served is consistently outstanding. Which, for me posed a problem. In my first year, I gained about 30lbs because I just couldn’t pass up a plate of fries and the outstanding soft serve chocolate ice cream. Until I started my bento box lunch. First, the bento is really satisfying, and very healthy. As I learned from the JustBento.com site, there’s a method to filling the bento, and it’s centered around not only nutrition but also aesthetics. I like that the form factor of my bento box is similar to the form factor of my Airstream, and that it keeps my lunch separate, organized, and portable until it’s time to eat it. I am using the Bentgo grey, which I picked up (of course) at Marshalls for $7.99. I like the Bentgo brand because they are BPA-free made from EU food-safety authority approved all food grade materials. The top container nests inside the bottom one for compact & easy storage, and includes built-in plastic silverware (fork, knife and spoon) with room for a packet of gluten free soy sauce and travel chop sticks. 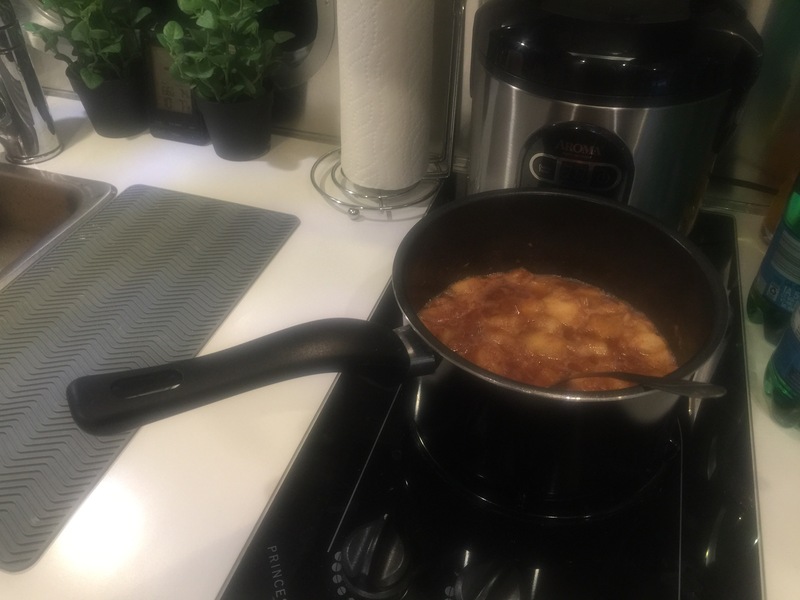 Posted on December 8, 2015 December 9, 2015 Author silver slickerCategories Create, Design, Hipster Homesteading, Kitchen and Cooking, SimplifyingLeave a comment on Bento. When I purchased my Airstream, the previous owner included a white plastic cover on the kitchen sink that could be used as a cutting board. For some reason, I didn’t really like it. I don’t love the idea of cutting my food on plastic and I felt like the entire setup was disaster waiting to happen should I ever accidentally turn on the water with the board in place. So, for some time, I used a hand-me-down Ikea cutting board (that very conveniently slipped between the banquette and the refrigerator. I still have it tucked away there, but I often found that dragging out the cutting board was inconvenient and overkill to say, slice an apple. So, I went in search of a “tiny” cutting board for my tiny home. 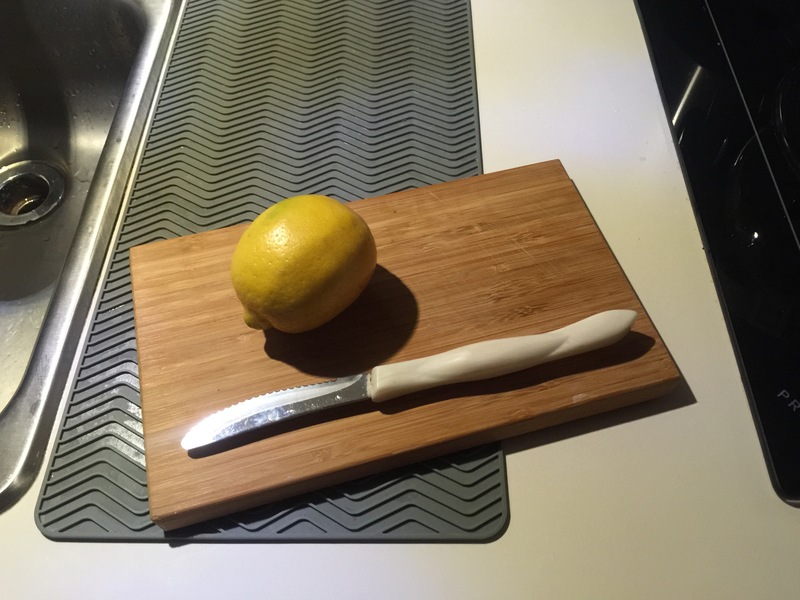 I learned about something called a “bar board” which is, in fact, a tiny cutting board used by bartenders to slice lemons and limes. I found a bamboo one at Ikea for about $8.00, but there are hundreds out there, I saw a bunch at TJMaxx and Marshalls the other day. They get the job done and are easy to rinse in the small kitchen sink in my Airstream. I’d add this to the list of things that are “must haves” for most ‘streamers. Part of living small is keeping unnecessary things—junk—to a minimum. For years, I have kept a small wallet, but it’s about to get a lot smaller. 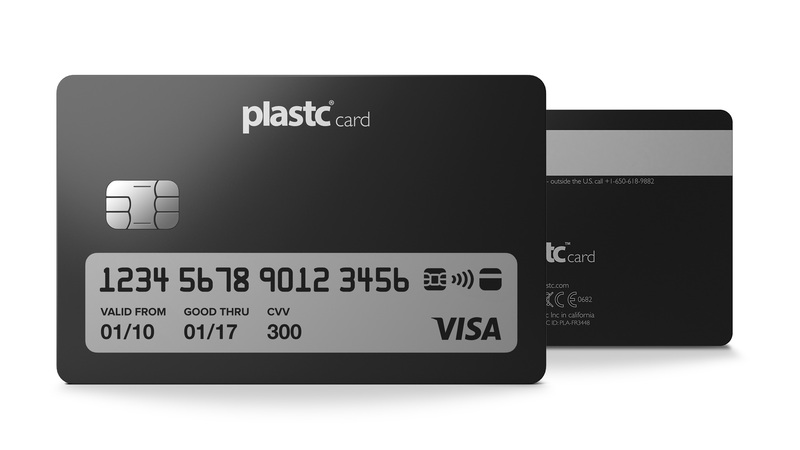 Plastc is a new all-in-one credit card that makes carrying multiple cards completely unnecessary. Plastc combines all of your cards onto one card and works with all of your current credit cards. Plastc has a variable screen that locks the card, and updates as you use it, showing important information and details. The card also has a magnetic stripe and EMV chip which makes it compatible with every POS system around the world. Best of all, Plastc keeps your wallet slim and makes life easier. The ultra sleek Plastc card is currently in Pre-Order (cards begin shipping in April), and readers of SilverSlicker are eligible for $20 off a Plastc card! Visit the Plastc website today to place your order! 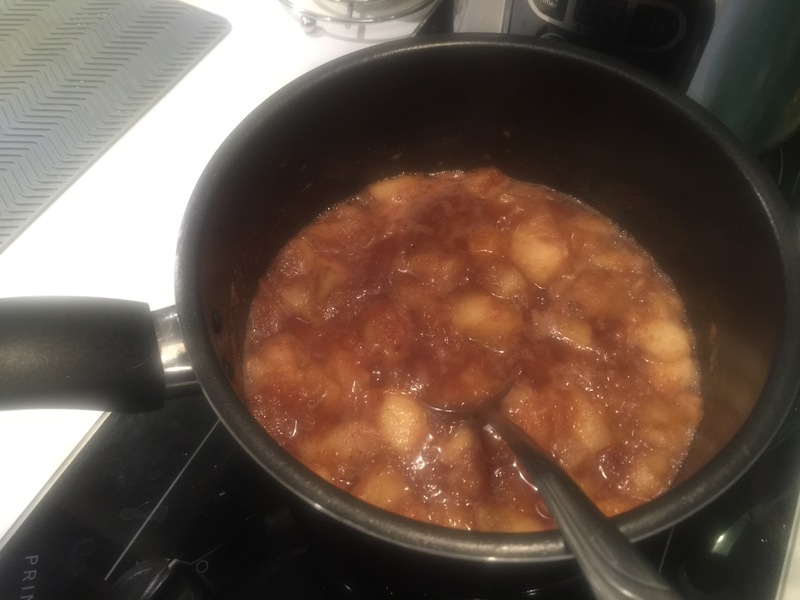 A quick batch from the outstanding (and local) apples I picked with my parents last week. And a great way to use up some of the uglier and battered apples. It’s also a nice treat on my new gallbladder-friendly diet! Happy to see Grandma’s spoon in use in my “popcorn” pan! 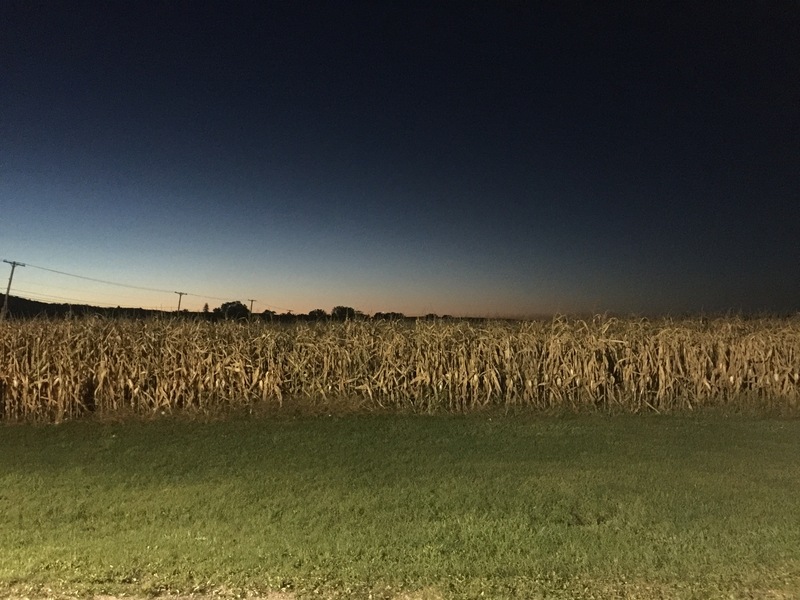 Posted on September 25, 2015 Author silver slickerCategories Observations, Rural, SimplifyingLeave a comment on Autumn Night. Thoughts on Living Small, Simply. When I was in graduate school, I lived in a small apartment. I was surprised, when I moved in, how long it took me to move all my “stuff.” I have always had great pride in the spaces I inhabit, and I like to be organized. My friend from graduate school—who we will call Joseph—came over one day and made a proposition. He would clean my apartment. Everything that I “absolutely couldn’t live without” had to go in to a cardboard box. Everything else… went. Turns out, I lived more comfortably, with more space, and with less to manage, and I have been a moderate minimalist ever since. I am always pleasantly surprised how comfortable living in my Airstream can be. Meals are simpler (and healthier), activities are more direct and to the point. When living in a small space, every square inch must be considered, and every square inch counts. I find myself continually asking “do I really need this?” More often than not the answer is no. The other surprise about living in a small space: I am shocked at how much garbage I generate. About a grocery bag-full each day. It’s mainly packaging from food that I consume, but it is truly shocking how quickly it accumulates. Living small takes some adjustment, but controlling stuff rather than being controlled by stuff makes the whole thing worth the effort. Posted on August 20, 2015 August 16, 2015 Author silver slickerCategories Observations, SimplifyingLeave a comment on Thoughts on Living Small, Simply.